instagram | Joy. Journey. Jotter. Dark red ruby core; crimson rim; thin meniscus. Pronounced aromas of crushed black fruit (think plums and blueberries), dark chocolate, and strong notes of oak. Tart black fruit, dried liquorice roots, vanilla on the palate. Smooth texture; tannic grip; medium plus acid and length. 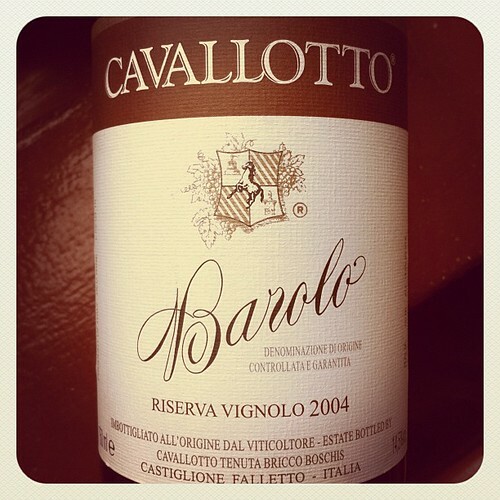 Not very expressive compared to the highly perfumed profile from their basic 2004 BdM that I tried almost a year ago. A decade too young. What a shame! Made this right after a somewhat heavy dinner and it didn’t survive the night. 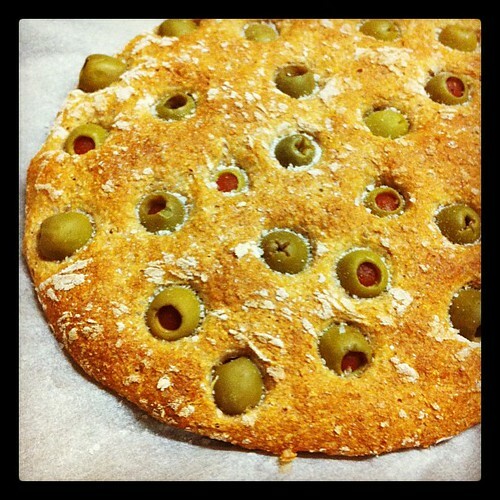 Just plain wholemeal flour with yeast and water, topped with some store-bought olives (stuffed with pimento) and a sprinkle of salt. Made one earlier in the afternoon and it was gone in a jiffy too with a few other friends who weren’t in the mood of doing any revision. survived a whole semester before being devoured. 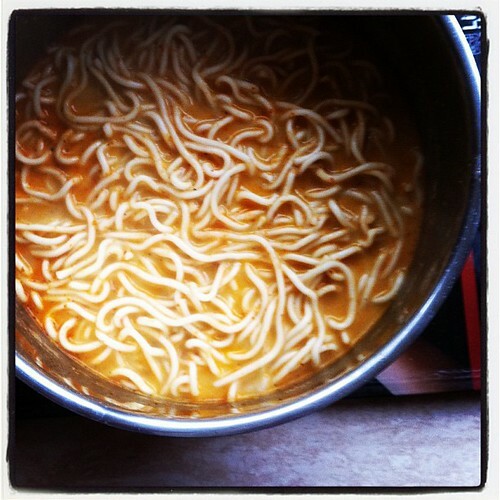 Prima Taste really did a great job – this is as authentic as (curry) laksa can get in a dried form! The La Mian (ramen) noodles are kinda out of place for the purists, but they do remain firm and springy in spite of my overcooking them, allowing the noodles to absorb some of the sinful coconut-based laksa broth goodness. No cockles, laksa leaves, taugeh, fish cakes or any condiments whatsoever – just had to live with the kosong version for now! Deep, almost opaque garnet-ruby core with a light ruby-orange rim. 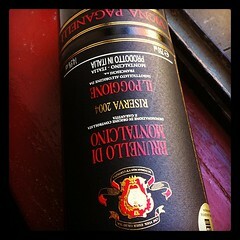 Floral, macerated red berries, dried mandarin peel and leather on the nose. Dry, quite robust, sappy and tannic on the palate with quite a fair bit of wood, black fruit flavours and a touch of leather. A nice sweetish aftertaste surfaced, giving this an extra brownie point to counter its youthfulness. Medium plus acidity and length. Not quite ready to drink yet but there’s an appealing freshness in this wine.